Want to Test your Mettle? 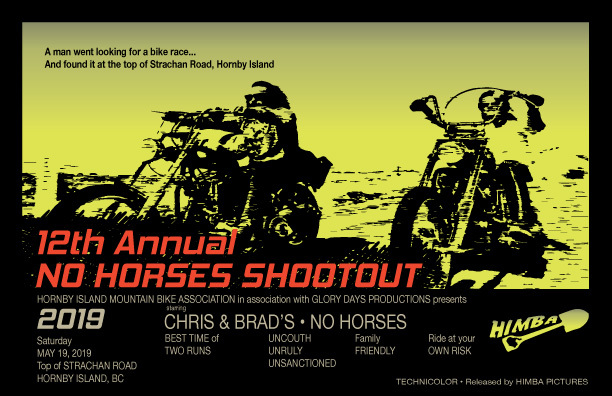 HIMBA (The Hornby Island Mountain Bike Association) is once again hosting the 11th Annual No Horses Shootout! Every year this exciting grassroots event is held on the Sunday of May Long Weekend. This year that is May 20th. 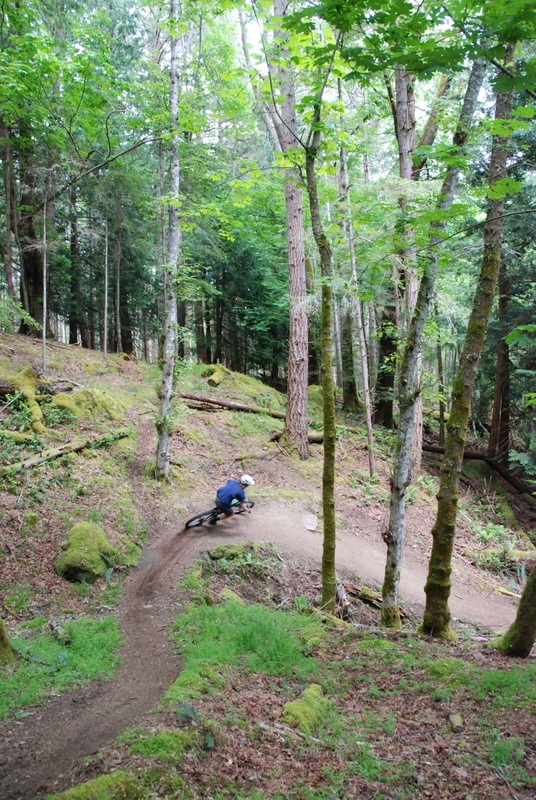 Join us at the end of Strachan Road at high noon for a fast and fun race through the woods on some of our best trails. The excitement starts at the top of Chris & Brad’s trail, with some really tight corners, flat pedalling sections and steep hills. This connects seamlessly on to No Horses trail, a crazy fun, fast and wicked series of smooth turns. 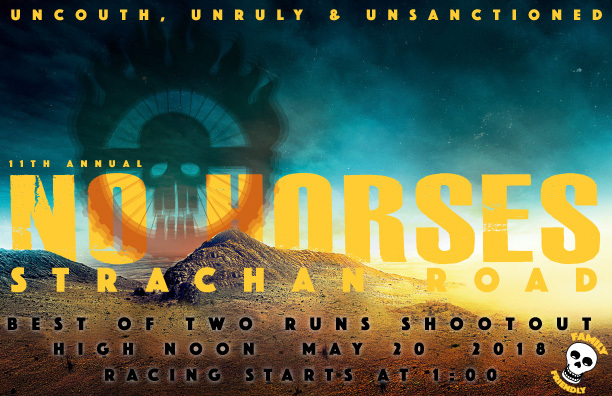 All of this is geared to have you pumped, flowing and riding faster than you thought possible when you cross the finish line on to Strachan Road to the cheers of the crowd! No time to bask in the glory, you’ll have to ride or push your bike back to the top of the course to take your second run! We take the best of your two runs as your official time. The racing starts at 1:00. There will be categories and prizes for kids. REMEMBER: RIDE AT YOUR OWN RISK!! !